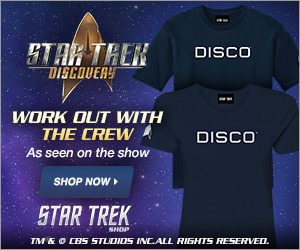 Known in the Star Trek universe as an alternative to the real thing, Synthehol is said to have the same taste and smell like “real” alcohol to most individuals, but none of the deleterious effects associated with alcohol for most humanoids, such as debilitating intoxication, addiction, and alcohol poisoning. 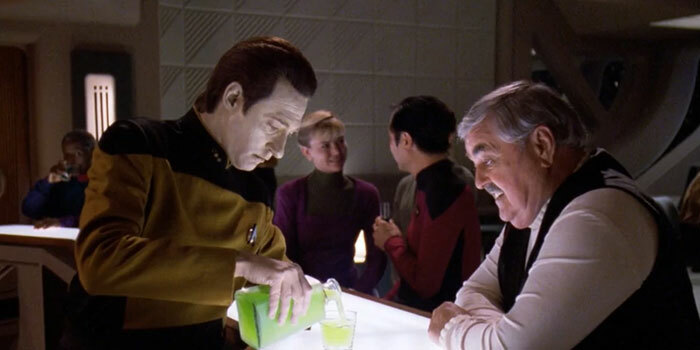 The most noted comparison to real alcohol was made in the TNG episode “Relics” when Montgomery Scott orders Scotch, neat. Only to be repulsed by the taste of it, in this scene we see Data explain to Scotty the existence of synthehol and what exactly it is, however, Data offers Scotty something from Guinan’s personal stock which leads to one of the most notable scenes in this episode. So how close are we to synthetic alcohol? Well if you want something that mimics Synthehol and is free of all the deleterious effects associated, then you can already purchase alcohol-free products that taste the same, however, thanks to Scientist David Nutt we may be seeing a more potent Synthehol sooner rather than later. In an article from The Guardian, Scientist David Nutt talks about the journey taken and how he is now planning to bring synthetic alcohol to the market. 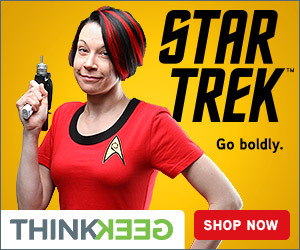 It just goes to show that Star Trek keeps inspiring scientists around the world.